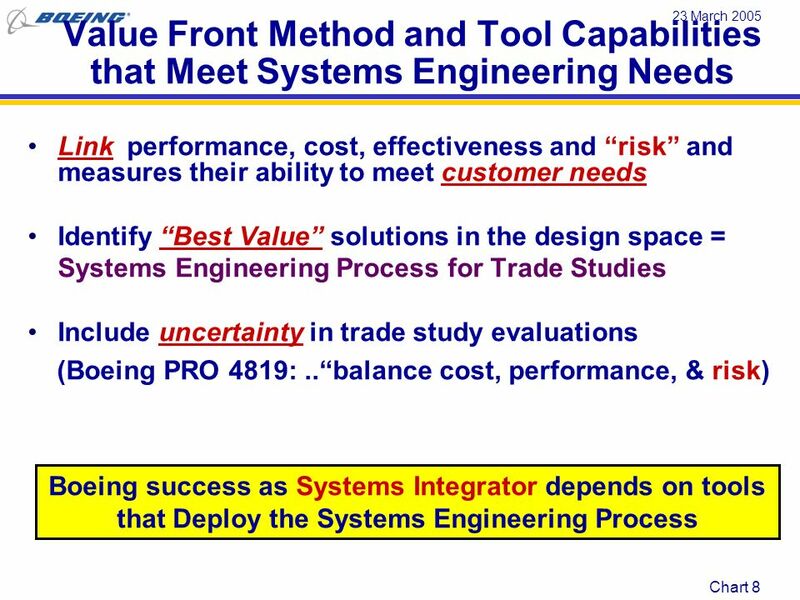 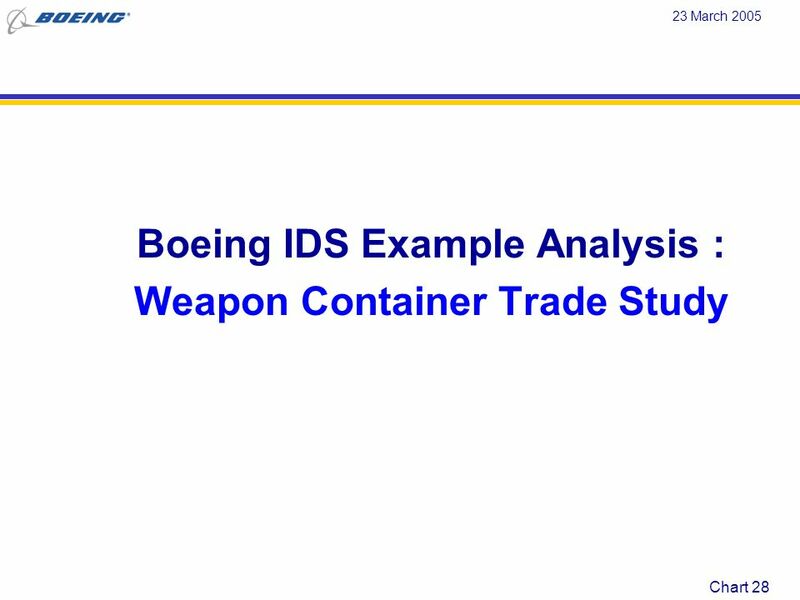 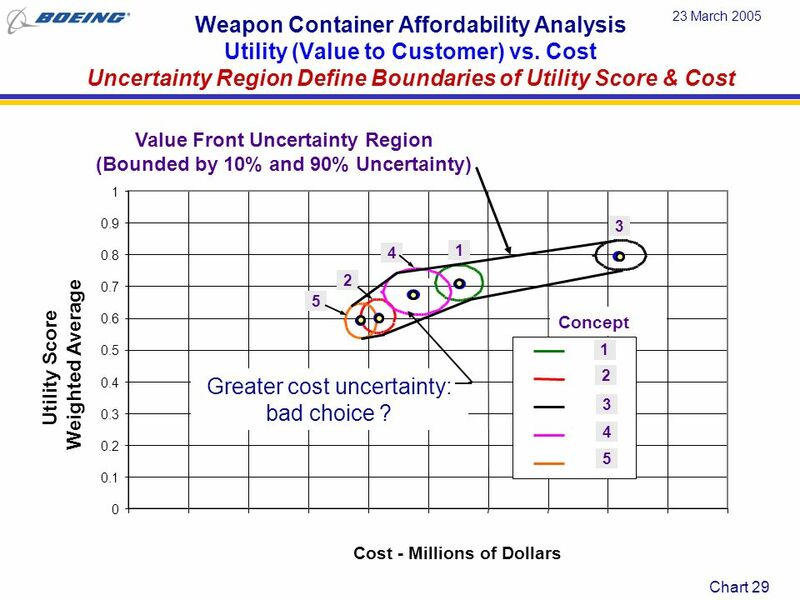 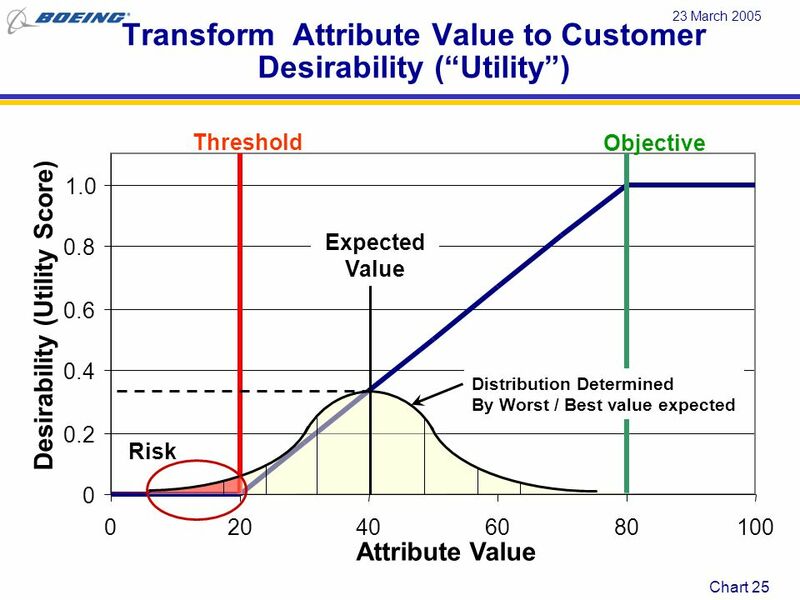 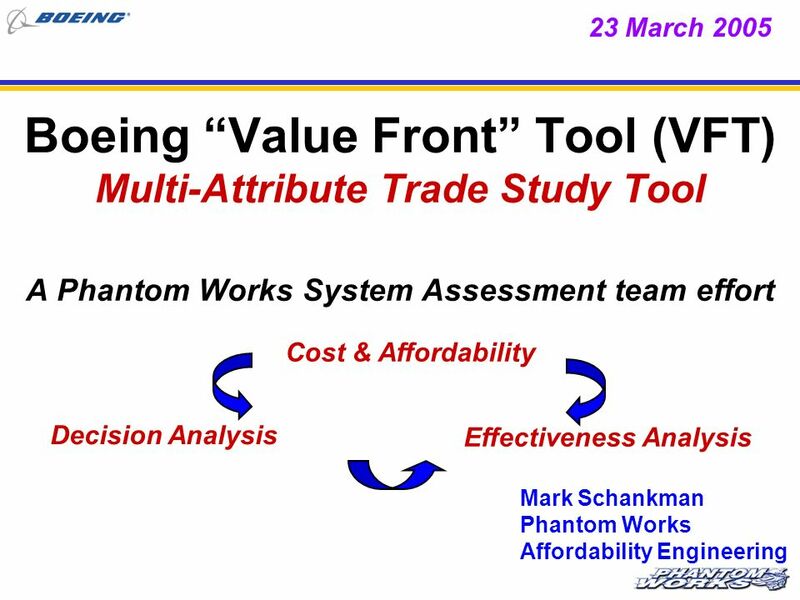 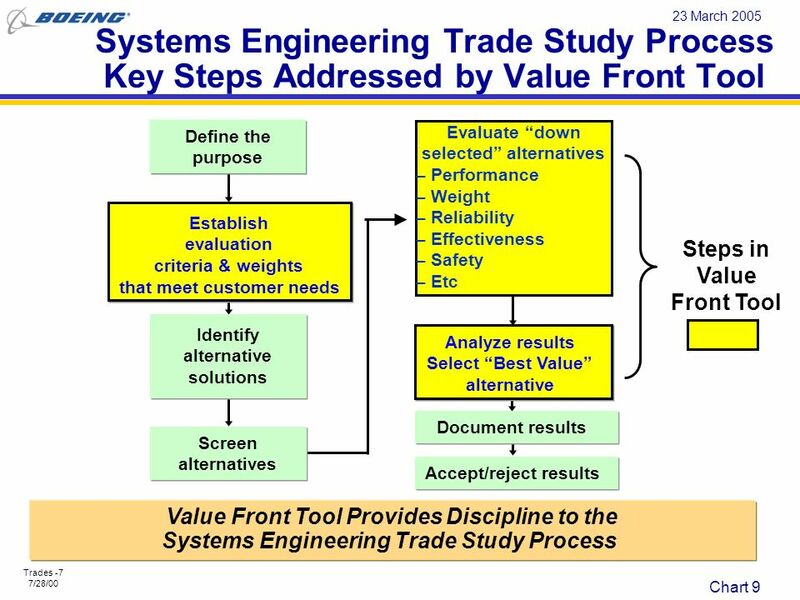 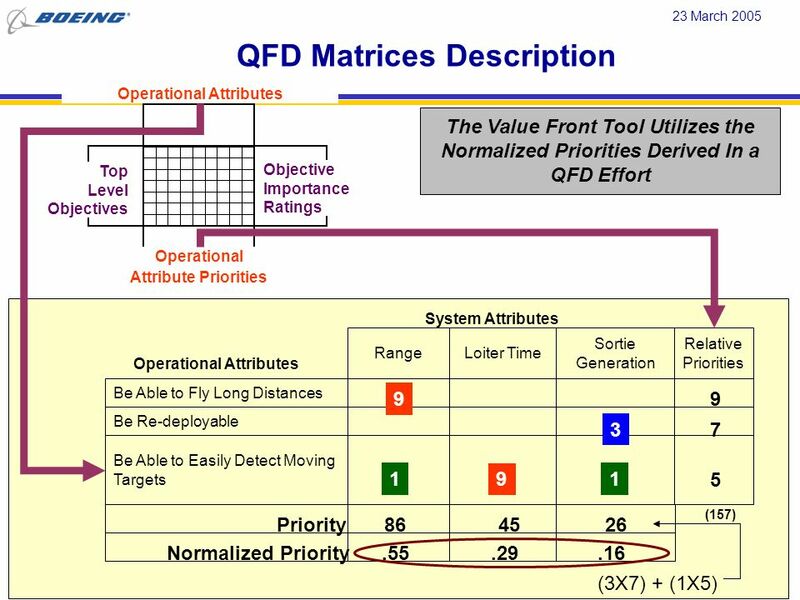 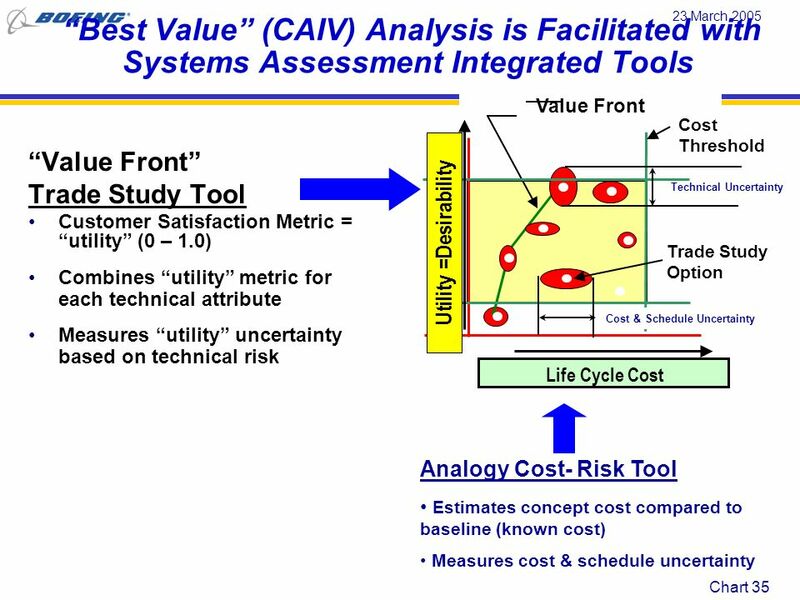 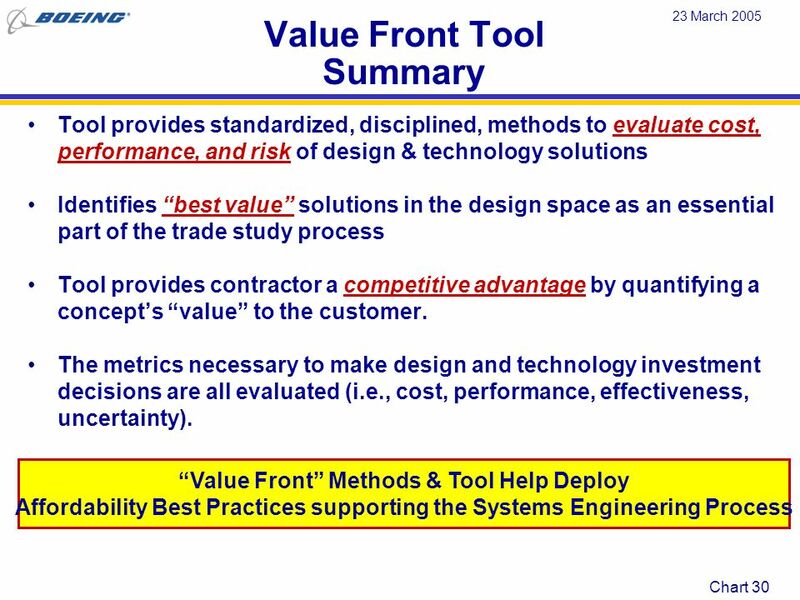 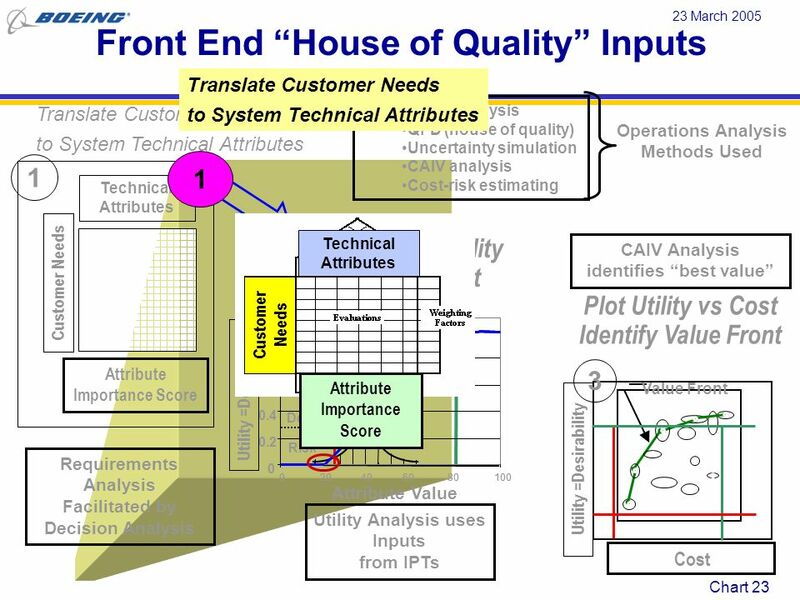 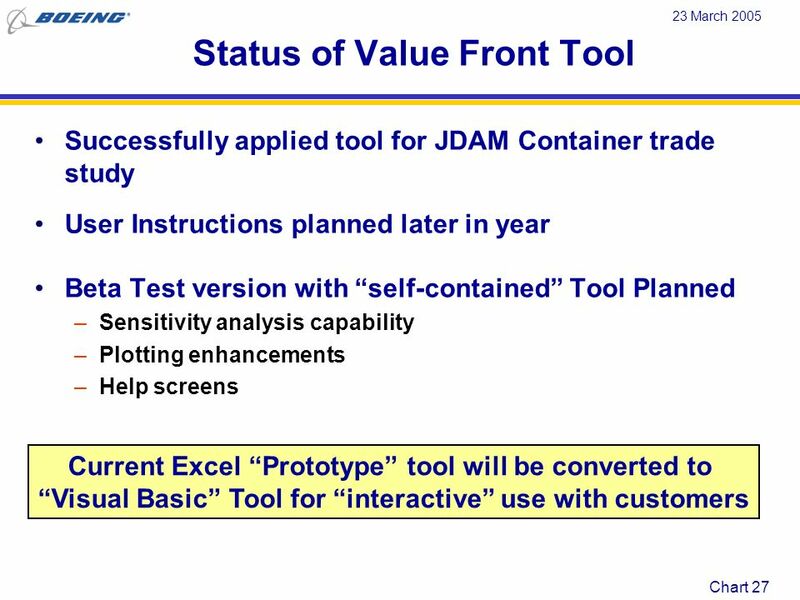 23 March 2005 Boeing “Value Front” Tool (VFT) Multi-Attribute Trade Study Tool A Phantom Works System Assessment team effort Cost & Affordability. 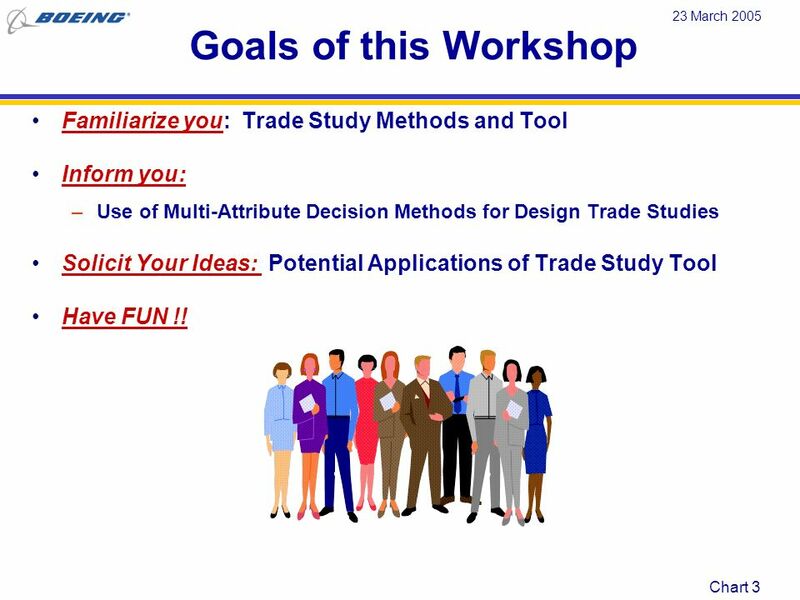 Inform you: Use of Multi-Attribute Decision Methods for Design Trade Studies Solicit Your Ideas: Potential Applications of Trade Study Tool Have FUN !! 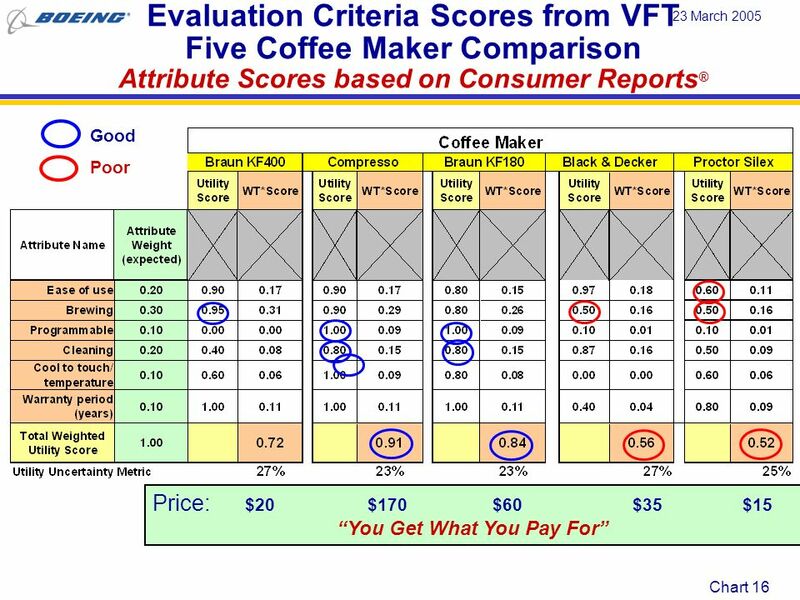 10 Value Front Tool Analysis : Which Drip Coffee Maker to Buy ? 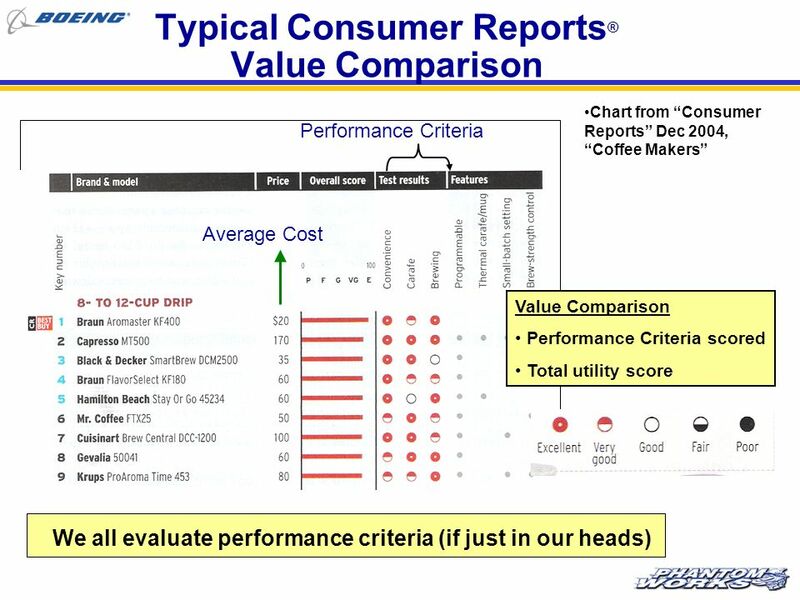 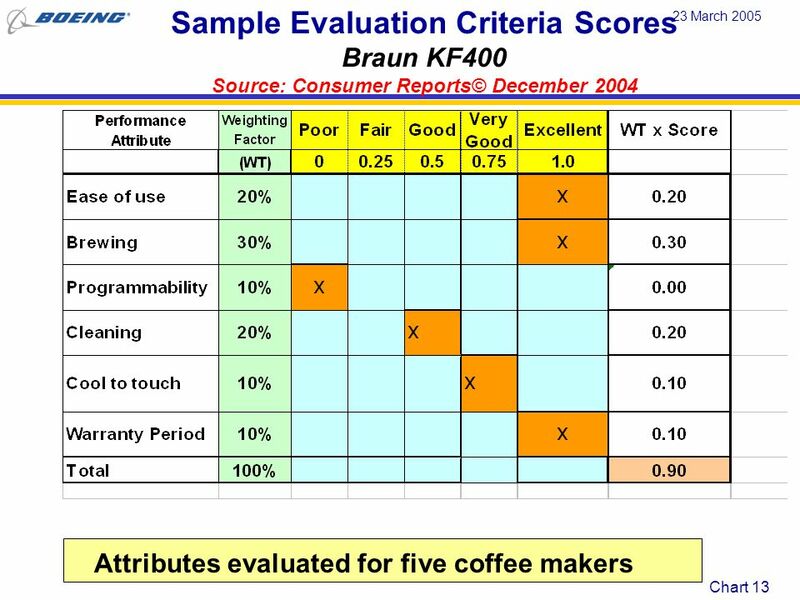 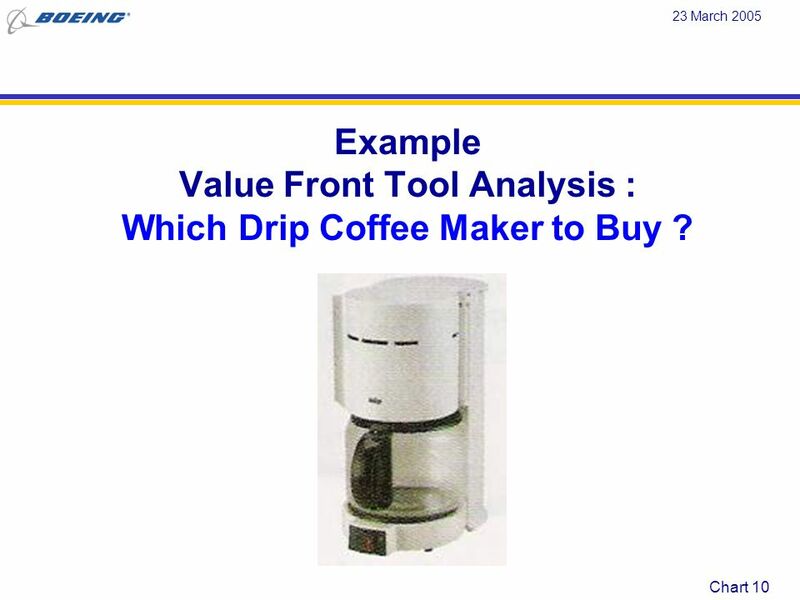 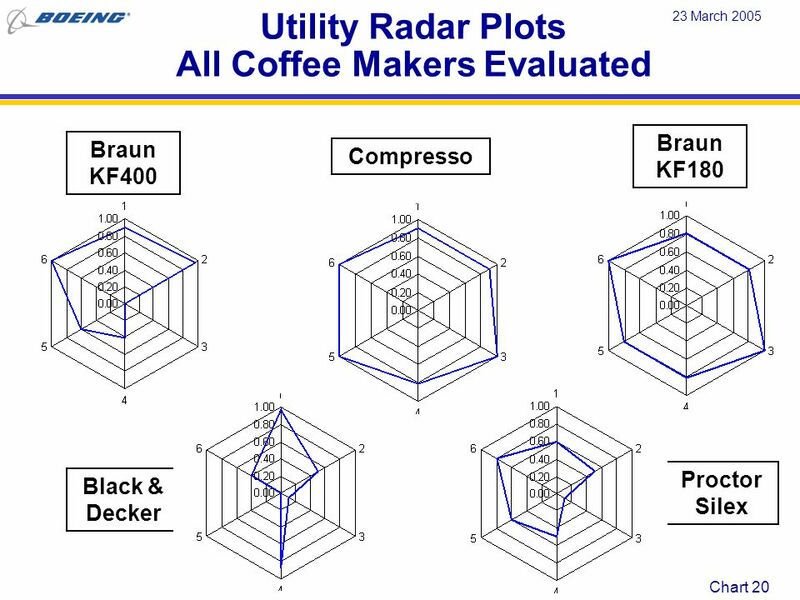 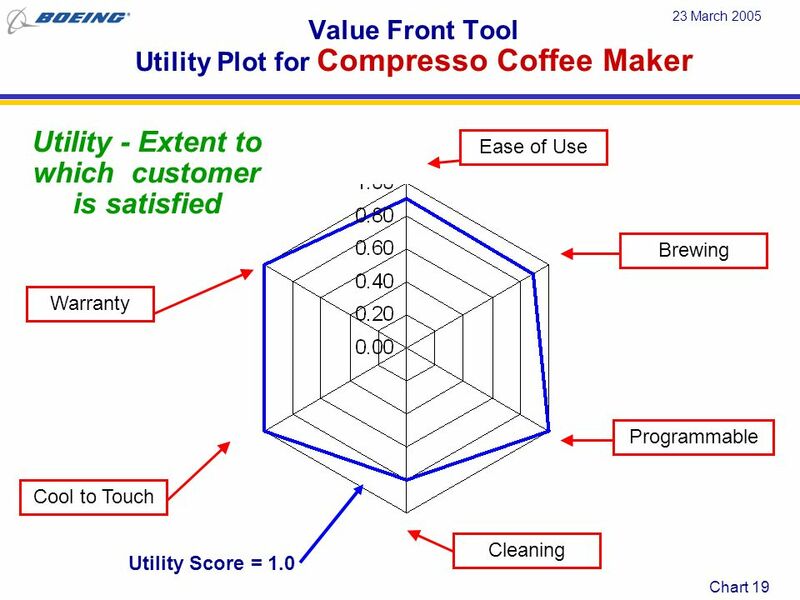 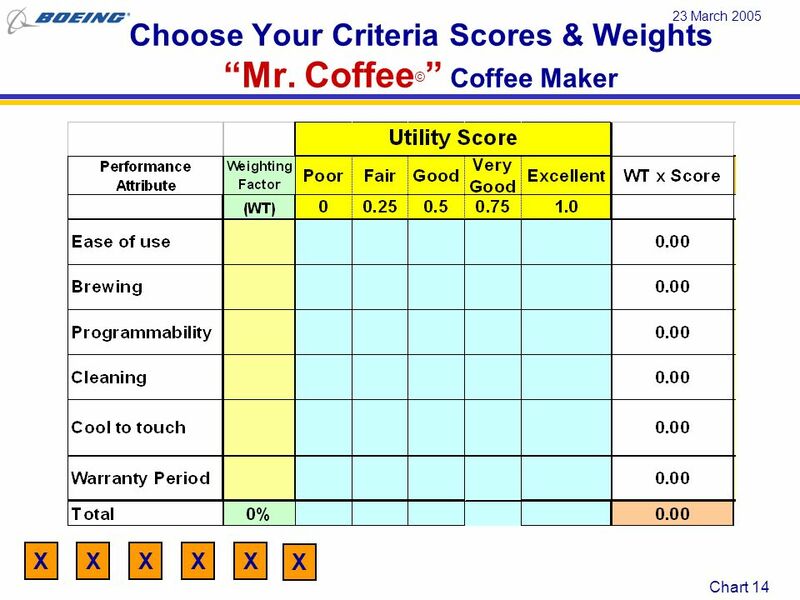 Example Value Front Tool Analysis : Which Drip Coffee Maker to Buy ? 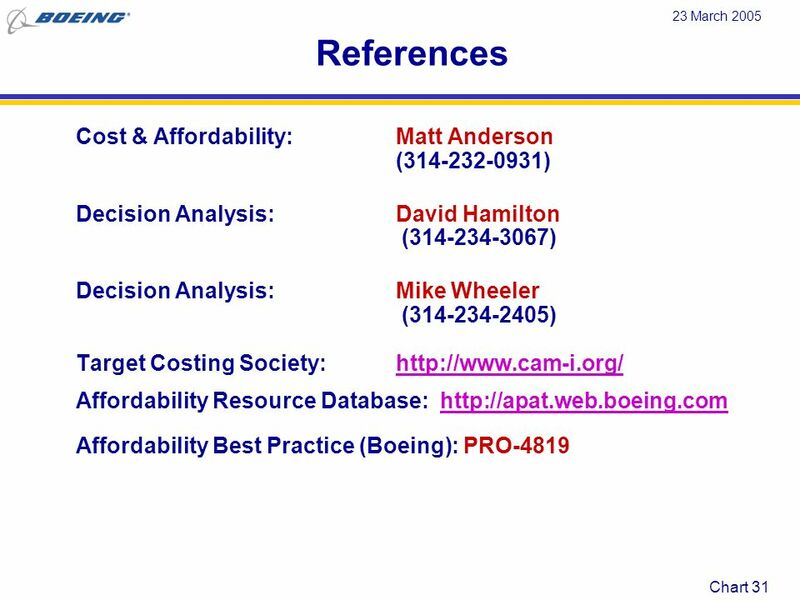 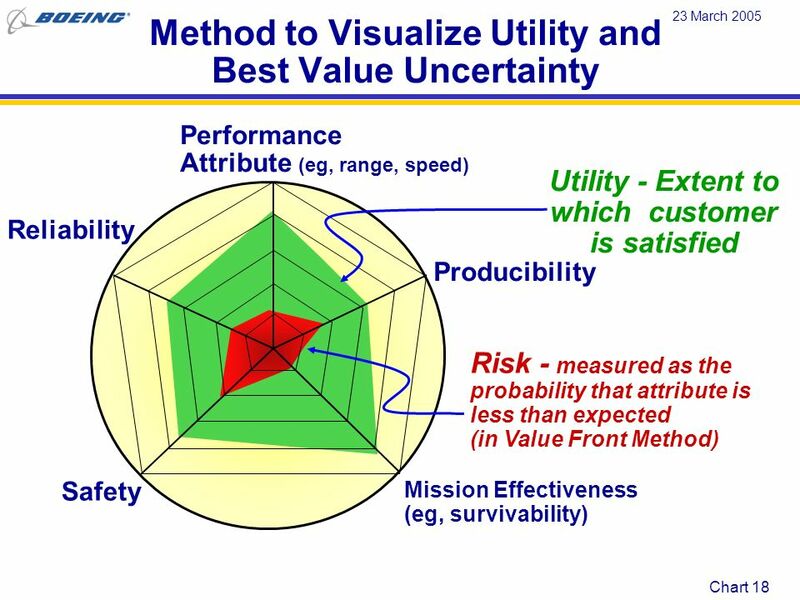 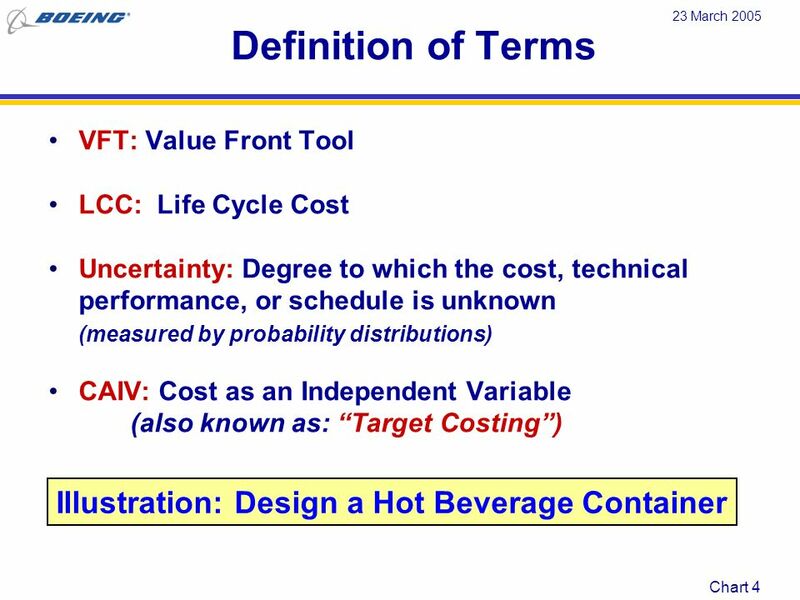 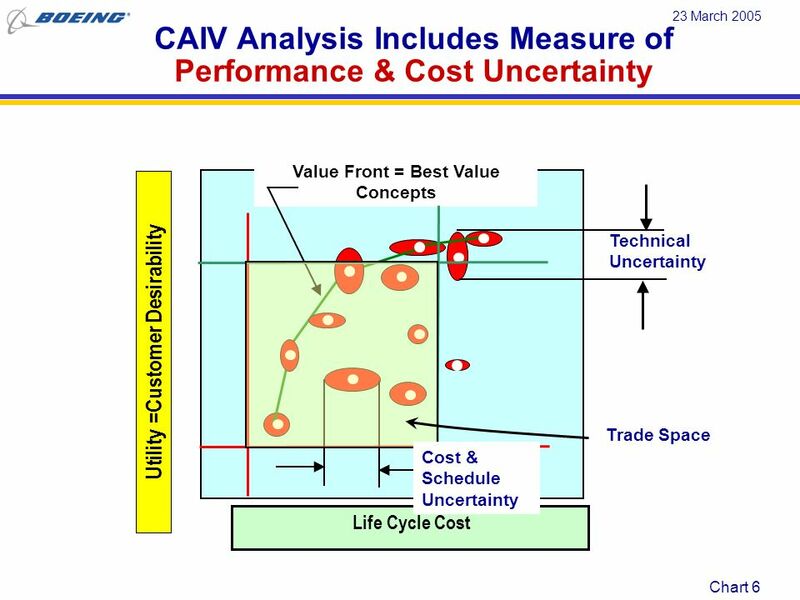 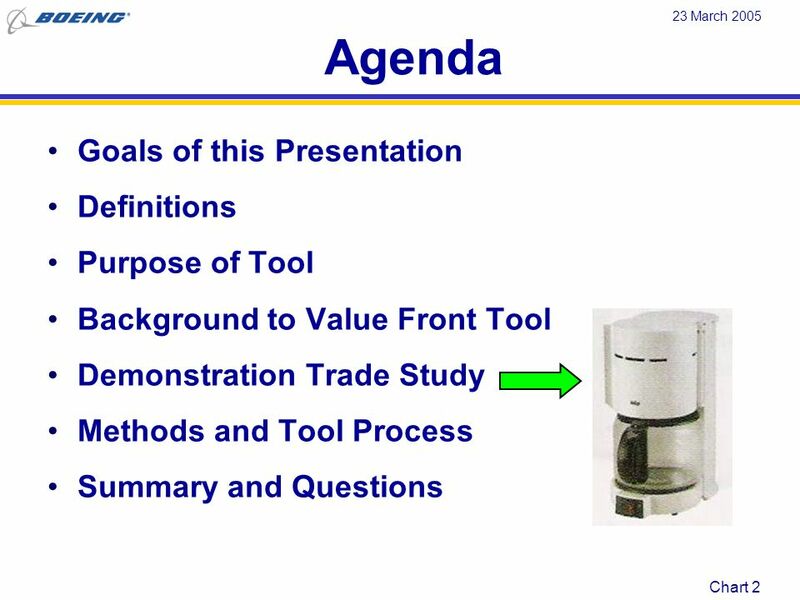 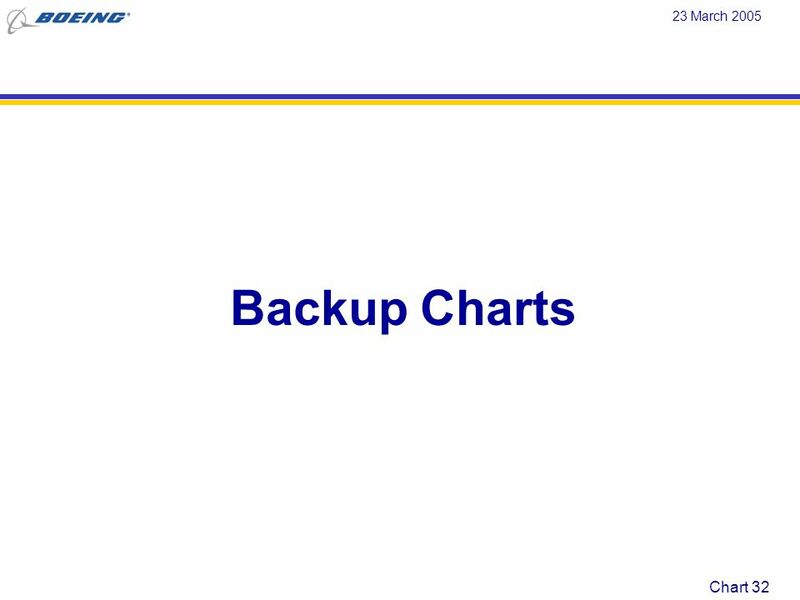 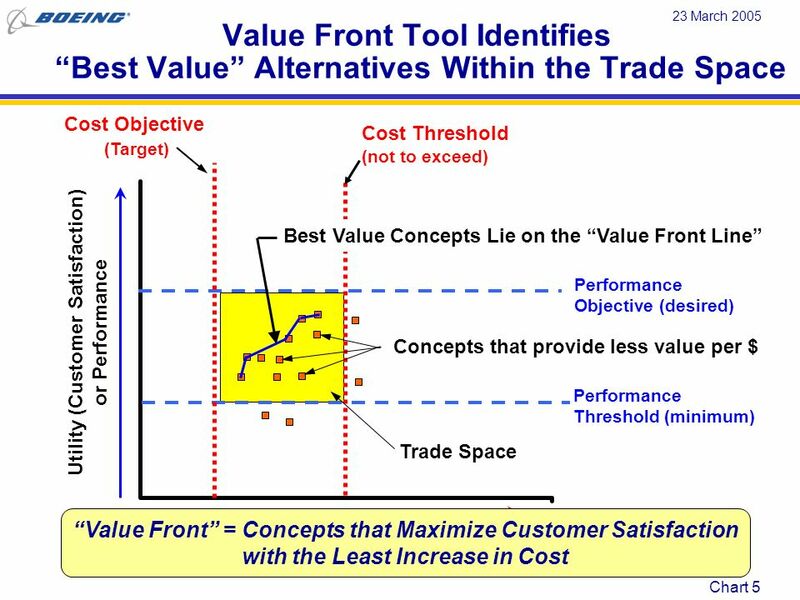 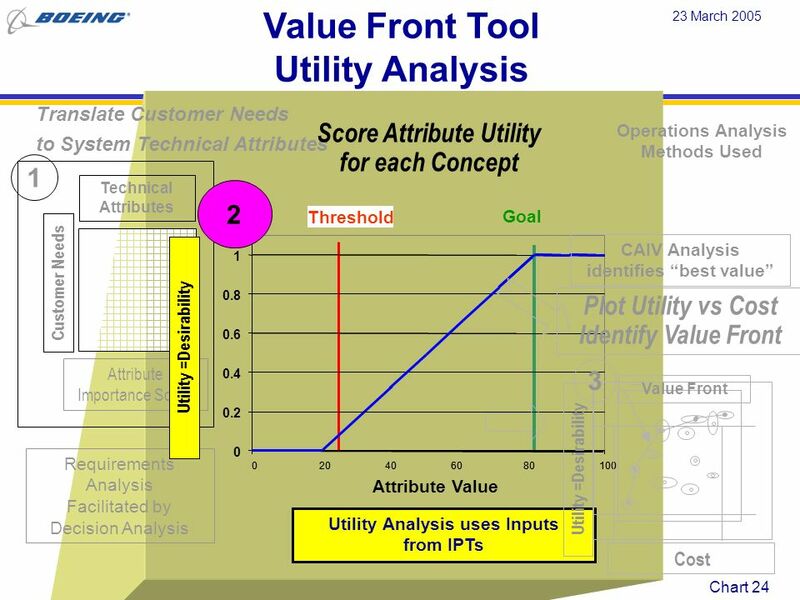 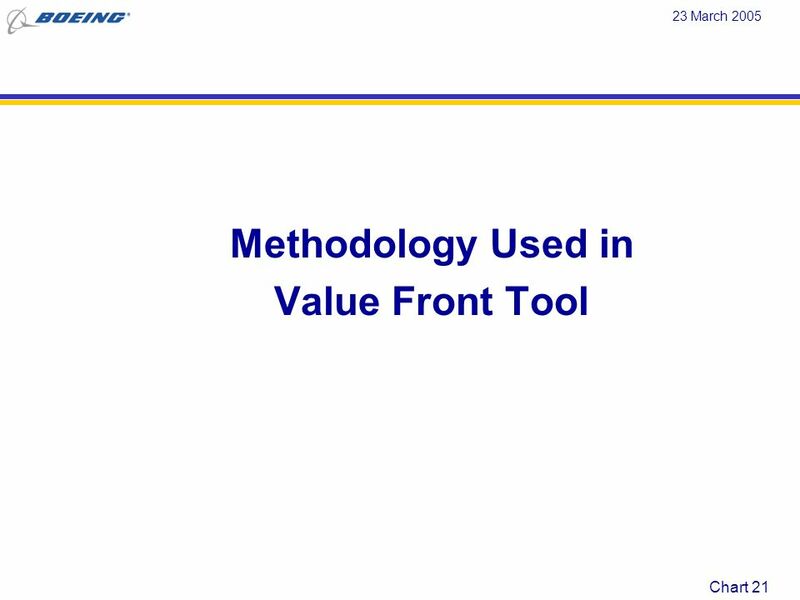 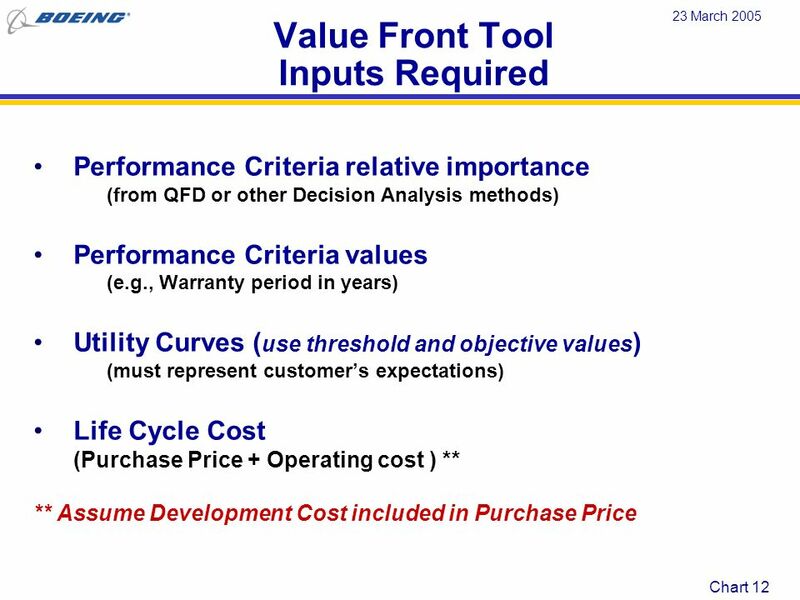 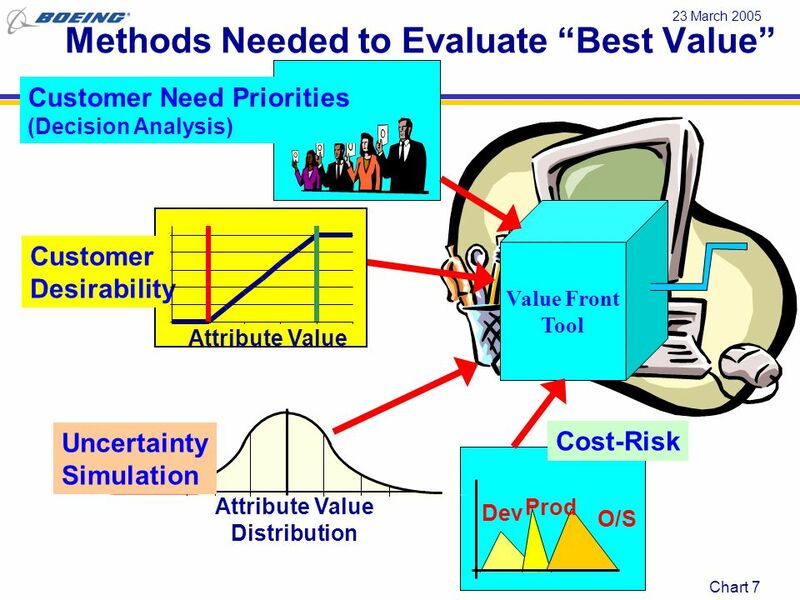 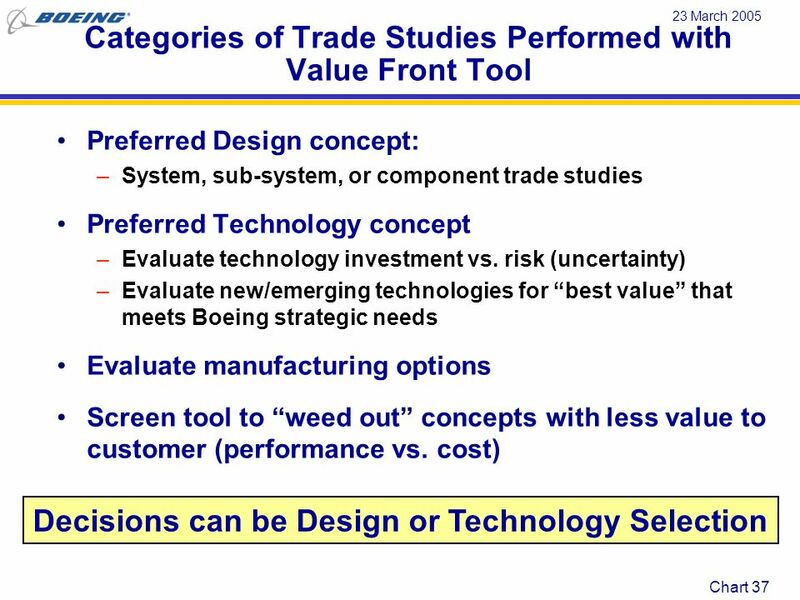 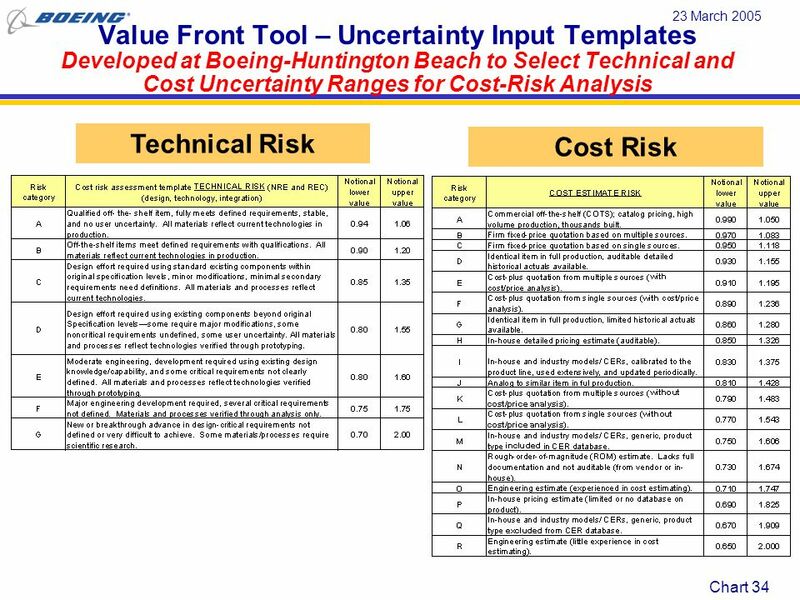 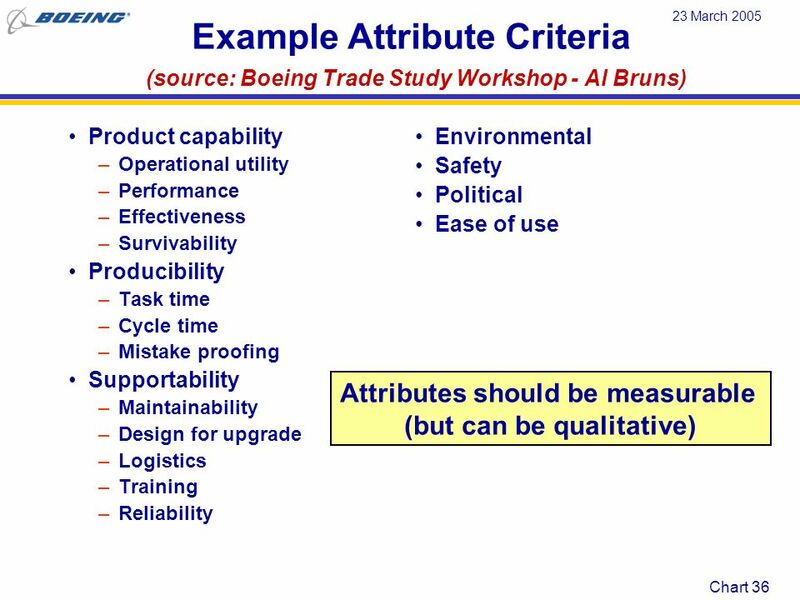 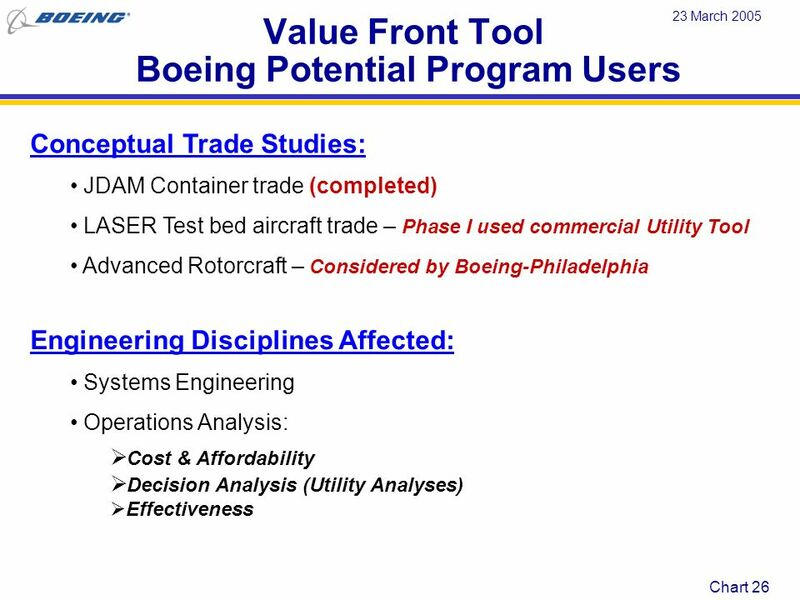 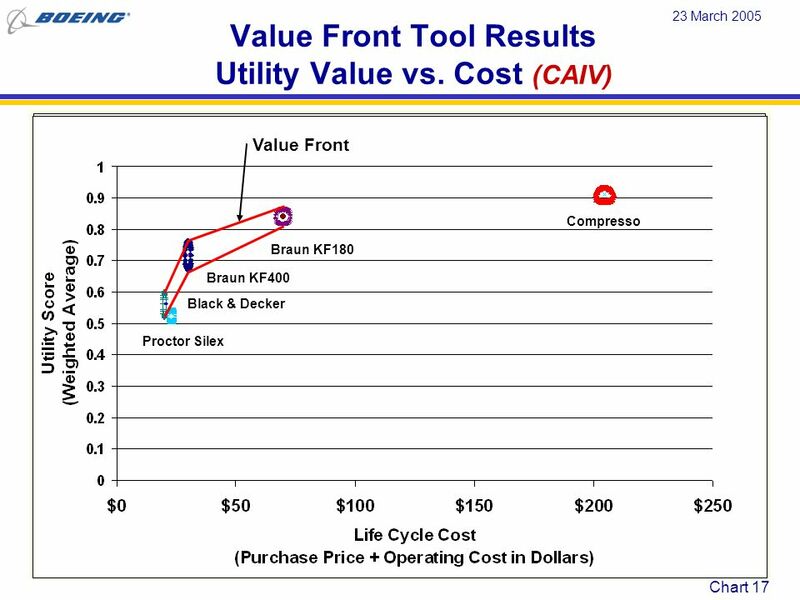 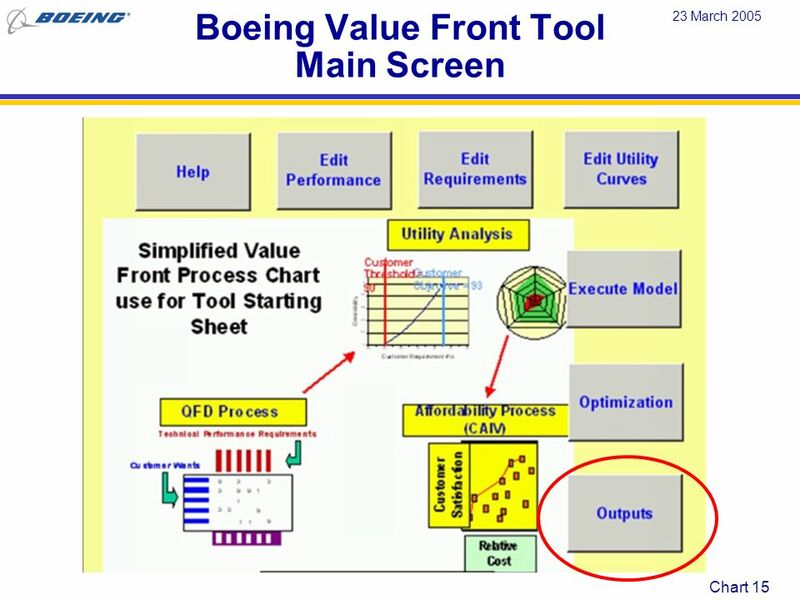 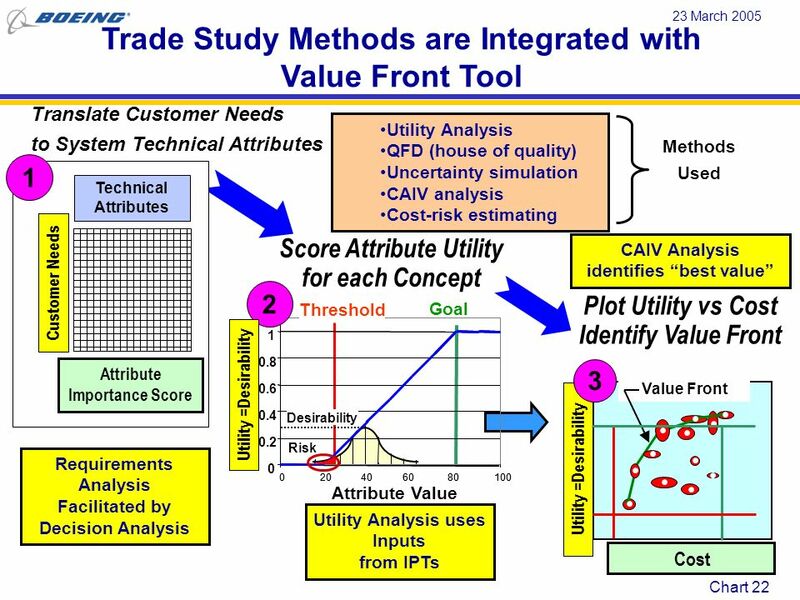 Download ppt "23 March 2005 Boeing “Value Front” Tool (VFT) Multi-Attribute Trade Study Tool A Phantom Works System Assessment team effort Cost & Affordability."